RSUPPORT believes in giving back to the community by investing in various social projects, in the hopes to make the world a better place. RSUPPORT finalized a business agreement with Korea Compassion International, an international children’s aid foundation, to provide remote computing technology. Korea Compassion International is now able to provide a variety of remote computing support to its sponsors and volunteers, including remote PCs, and remote mobile devices, all running on the solutions provided by RSUPPORT. *Compassion International is an international children’s aid foundation founded in 1952 by Reverend Everett Swanson to help children who have been orphaned by war in South Korea. They are dedicated to the long-term development of children living in poverty in 26 different underdeveloped countries by matching them one-on-one with patrons. The organization now provides aid to more than 1.35 million children. RSUPPORT finalized a business agreement with Good Neighbors to provide remote computing services to Good Neighbors. Good Neighbors is now able to access the computers, and smartphones of its customers who experience technical glitches while making contributions online, and to provide remote PC management support to its internal staff and international field offices. 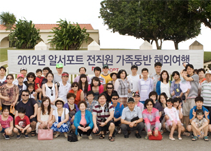 * Established in 1991 in Korea, Good Neighbors is an international charity and non-government development organization with 52 field offices in South Korea, 30 overseas field offices, and three fundraising bureaus that are implementing a variety of humanitarian and development projects. 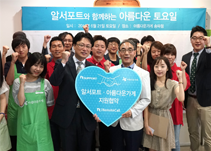 RSUPPORT finalized an agreement with Beautiful Store, a leading social enterprise in South Korea, to provide its products, and donate personal items from its employees who have also volunteered as temporary staff for the store. RSUPPORT will continue to maintain a solid partnership with Beautiful Store while actively participating in activities to promote the spirit of “sharing and recycling,” thereby fulfilling its duty as a socially responsible corporate citizen. * Beautiful Store, was established in 2002 with the opening of the Anguk Store in Seoul, is the country’s leading social enterprise, and runs 117 stores nationwide. Beautiful Store makes an effort to spread the spirit of common goods by engaging in various activities, including the sale of donated items design of recycled products and the distribution of common goods products. “Carbonless Support” is not only the RSUPPORT’s trademarked slogan, but it’s our way of life. We believe in protecting our environment by actively participating in the Green Growth program, a worldwide initiative to solve the global environmental dilemma. RSUPPORT is contributing to the reduction of CO2 gases emitted every day through mass commuting, while aiming to provide customer support and telecommuting services by developing the technologies required to understand the remote support, and remote work environment. Rsupport donates a portion of its revenue to the World Resources Institute (WRI) in an effort to participate in the environmental movement along with our customers. In addition, RSUPPORT donates its products, and services to various environmental organizations, thereby helping them accelerate their workflow, while lowering their carbon footprint. RSUPPORT’s products in the remote support, and remote control industry help create a work environment where employees can work from anywhere, and at anytime. Through such capabilities, employees can better their work-life balance. We proud ourselves on helping all of our employees optimize their success, and happiness through a balance between their work and personal lives through RSUPPORT’s remote support, and remote control services. RSUPPORT supports its employees to develop their skills, and capabilities through the provisions of a personalized business capability development program, as well as external education programs. Want to join Rsupport? We are open to anyone filled with passion, and an innovative spirit.